With expansive renovation work taking place at Tonbridge School, a large volume of heavy construction traffic was due on site including articulated lorries, cranes and piling rigs. The existing tarmac road needed protection to prevent cracks, breaks or accidents. 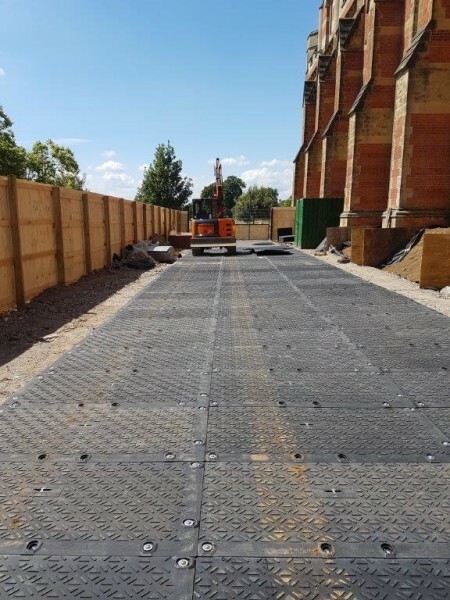 Ground-Guards surveyed the job and came up with a bespoke solution using MaxiTrack mats to create the perfect temporary access road around the side of the School. 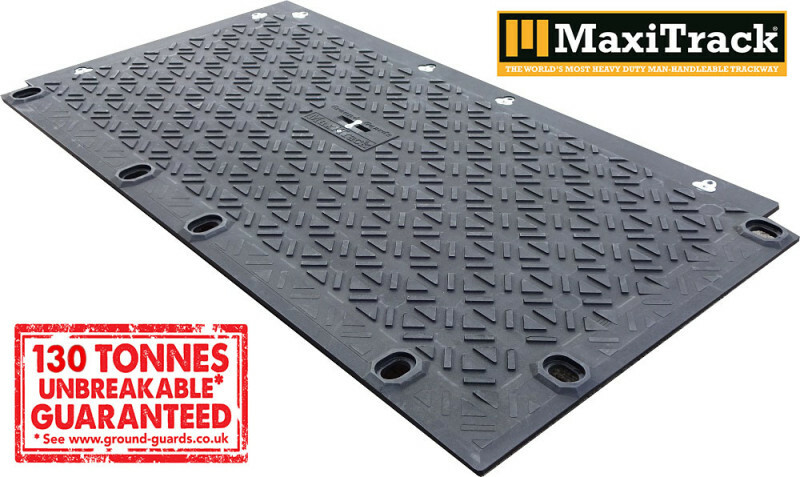 A total of 170 MaxiTrack mats were used, sat on a special protective underlay. The system was installed quickly and efficiently by the Ground-Guards’ team. 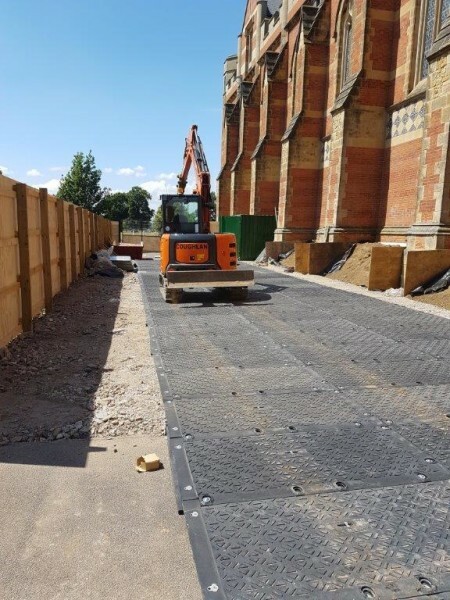 And with Ground-Guards’ guarantee that MaxiTrack will not break by vehicles up to 130 tonnes, heavy construction traffic was utilised on site with complete confidence. A neat, tidy temporary roadway: strong, unbreakable and unmoveable. The client took full advantage of Ground-Guards’ new Buy Back Scheme, selling the mats back after the job was complete and generating a fantastic return on investment.